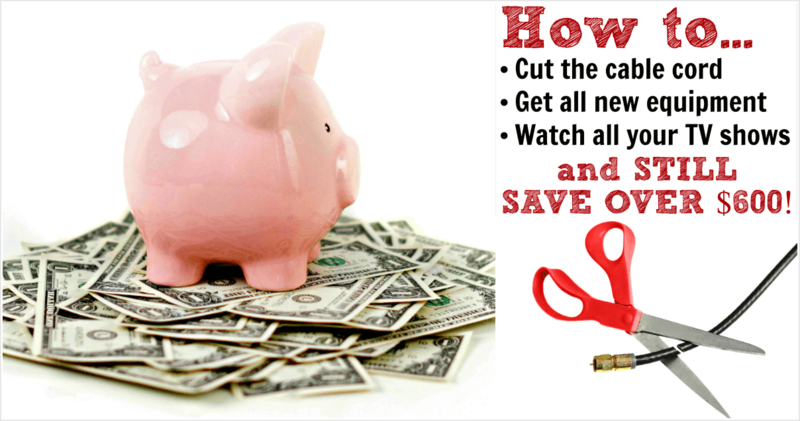 Cut the Cable Cord, Watch Your Favorite Shows and Save Over $600! My husband and I are veteran cord-cutters. At the end of 2011, we hooked a HD antenna to our TV and never looked back. Paying for cable was a huge thorn in my side, so I was beyond happy to stop looking at the cable bill every month! We cut the cable cord with the bare minimum of expenses: we paid for the HD antenna and a Netflix subscription, and we streamed current shows from Hulu's free service. At the time, our cable bill was about $50 a month. We also paid $8 for a monthly DVR subscription. We saved $696 from canceling cable, but invested $40 for the antenna and $96 for a year of Netflix. In 2011 we kept $560 in our wallet when we cut the cable cord. Five years later, average cable costs are quite a bit higher: consumers pay an average of $73 a month! It's also a lot easier than it used to be to cut your cable cord and not miss any of your favorite shows. Plus, with the sleek, user-friendly equipment that's out there, swapping out your cable setup for a digital and streaming setup is easier and ever! With smart TV bundles that include 48″ or larger smart TVs, wireless routers, HD antennas, streaming media devices and/or Netflix gift subscriptions starting at just $525.96, you could make a huge upgrade in your home technology and still spend less than you would on cable for the year! 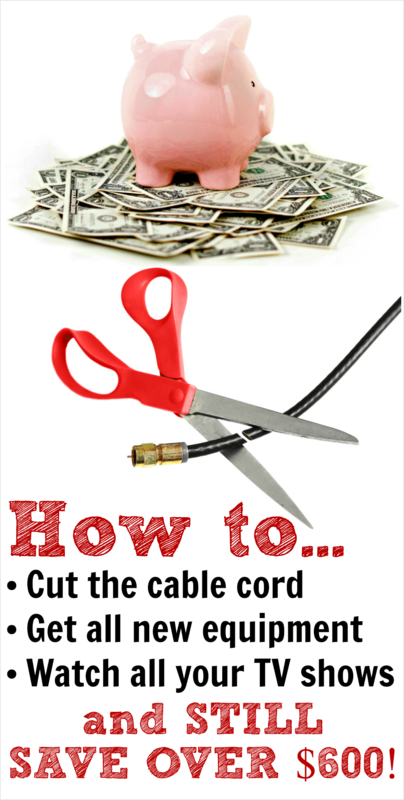 Let's take a look at what you need to cut cable out of your life, and see how much you'll save by doing it. Make sure you wait to make all your purchases together, because right now you'll save up to $59 if you buy a special bundle designed to make cutting the cable cord as easy as possible! You'll need internet service, so don't cancel that when you cancel your cable. But do stop renting your wireless router when you make that phone call. You're spending far more on that rental than you would by just purchasing a better one for yourself. Choose a high quality router to ensure good service, especially if you're going to be streaming on multiple devices. 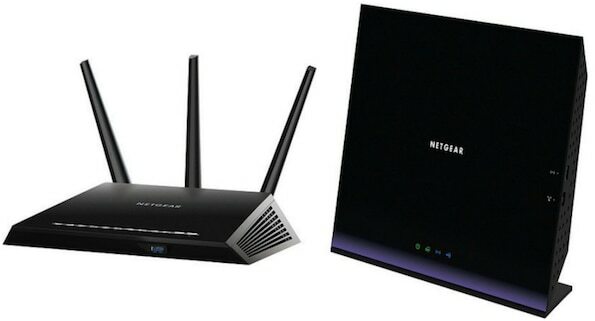 This Netgear Nighthawk router is the one that's included in all the bundles, buy it's also available to purchase by itself. I haven't tried it but the buyer reviews are fantastic. A second wireless router option that's priced a bit lower is the Netgear Smart WiFi Router. 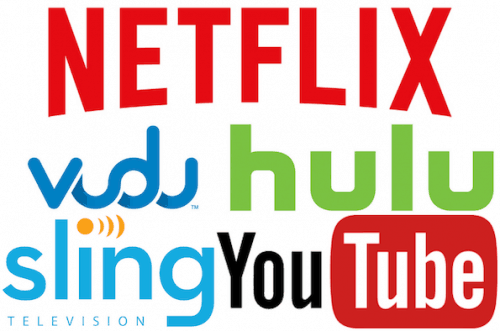 You don't need to decide which streaming providers you'll want to subscribe to right away. You can start with all the free TV shows on Hulu. They'll ask you to subscribe to Hulu+, but you can use the free version forever. We've been streaming free programs on Hulu for five years! If you're looking for a provider with less limits, check out Netflix and Vudu. The best part is that every streaming service is super affordable and there are no contracts. If you don't like it, you can just cancel! What is a Streaming Media Player? 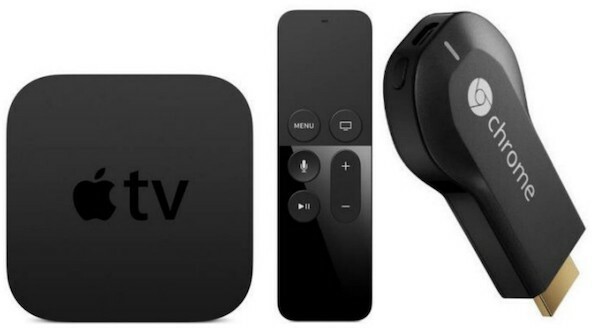 Streaming devices allow you to deliver streaming content to your TV without having to hook up a computer. With a streaming media player, your Vudu, Youtube, Netflix and/or Sling TV content can be accessed via remote control and presented in television-friendly format. Lots of HDTVs are now smart. 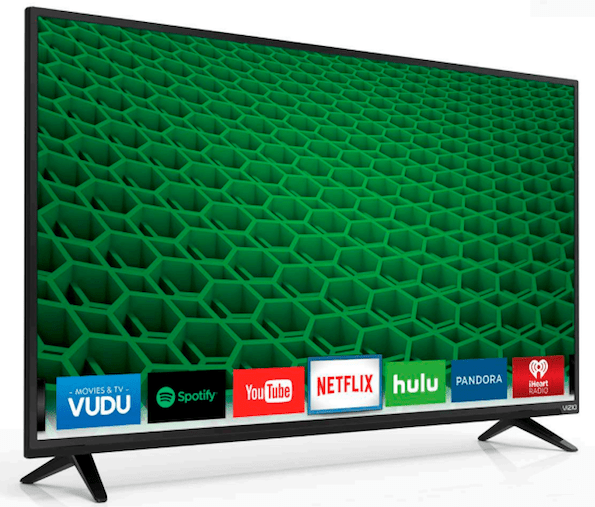 A smart TV lets you use your TV screen to access your streaming accounts from Hulu, Vudu, YouTube, Netflix and others. That means there's no need to hook up a computer or add a streaming device to your shelves. What is a HD Antenna? HD Antennas allow you to access your local TV stations. Believe me, these are not the old “rabbit ears”! First, HD antennas look so much better. Some are totally flat and others are can hide away on a shelf. Second, they just work. HD antennas pick up a TV station's free digital signal from up to 35 miles away. We use an HD antenna to watch sports and connect to children's programs on PBS. How much will Cutting the Cable Cord Save Me? How does all of this add up to saving you at least $600? I noted above that the average monthly cable cost is $73. That means you're paying $876 a year for cable. If you start your cord cutting with a big wireless router upgrade and get your content by streaming free television on Hulu and hooking up a new digital antenna, your total expenses would be $172. 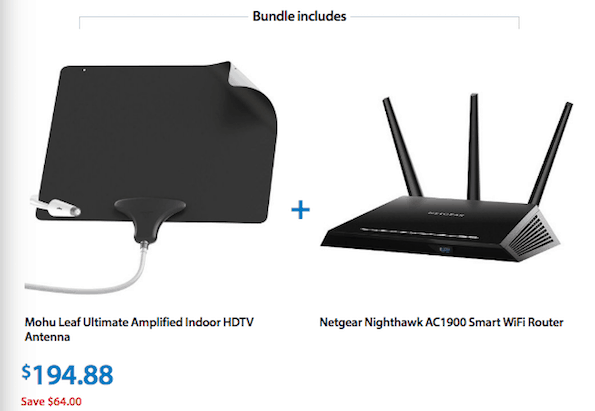 You can take advantage of an even better router upgrade and save $64 when you grab this Cut the Cable bundle! With this setup you're saving $704. Even if you added in a Netflix subscription for 7.99 a month you're still saving more than $600 for your first year of cord cutting! Your cord-cutting experience will only get better and easier with a smart TV or a streaming media player, and you can find savings on all sorts of cable cord cutter combinations right now at Walmart online! 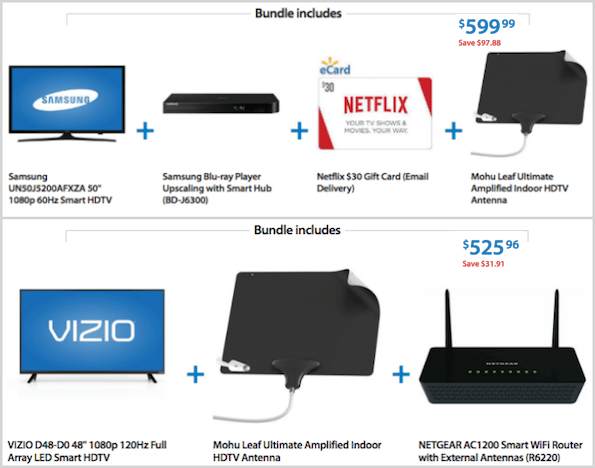 With smart TV bundles that include 48″+ smart TVs, new wireless routers, HD antennas, streaming media devices and/or Netflix gift subscriptions starting at just $525.96, you could make a huge upgrade in your home technology and still spend less than you would on cable for the year! Cord cutting is not a trend, and paid cable television is becoming a thing of the past. With the easy set up and bundled savings, now is the time to cut your cable cord! Shop for everything you need to cut your cable cord now! Disclosure: This post is provided by Walmart. All opinions are my own. Here’s the thing. Most cable subscribers I know also pay for a subscription to Netflix, Amazon Prime, or whatever else. So the true cost of entertainment is the price of their cable bundle PLUS the additional streaming services. So when I cut the cord over a year ago, I trimmed about $100 out of my monthly overhead. Netflix, Amazon, and Hulu weren’t new expenses — I was already paying for them. As I type this comment I’m streaming a baseball game through the Yahoo app to my TV. It’s absolutely free, has few ads, and the streaming quality is superior to an ESPN 720p broadcast. It amazes me that so many people are still willing to pay big buck for shoddy shows marbled with annoying ads. In 2016, most of us have a choice, but many of us fail to realize it. We’re the frogs in the pot slowly being brought to a boil — too oblivious to hop out.